The lenght can be extended by 3m, no limited. Customized size is available. Widely used for Weddings, Events, Parties, Celebrations,Sports,Tradeshow, Warehouse,etc. 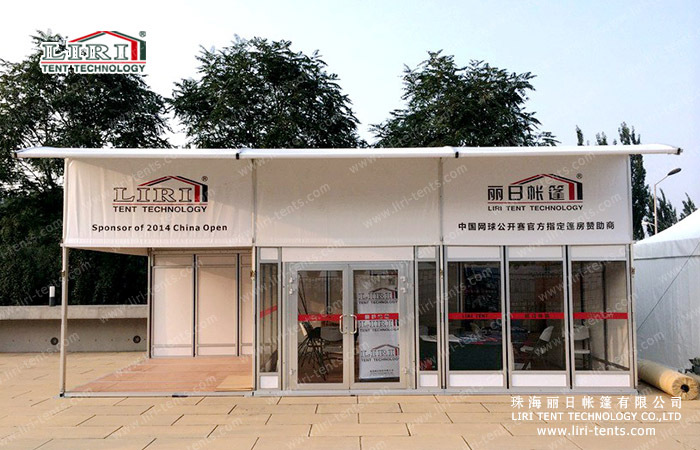 Established in 1997, has 18 years experience, Zhuhai Liri Tent Technology Co., Ltd is a leading Chinese company in manufacturing, selling, and renting of aluminum structure tents systems. Our products have been exported throughout the world to over 97 countries and made tents for big international projects, and won great reputation. All of our operations are strictly conducted in accordance with the IOS 9001:2008 quality control standards. The manufacturing of our tent series are strictly based on the European safety standard. We can produce different sizes of tents (3m wide to 80m wide tents) in different shapes (such as A shape tents, polygonal roof tent, polygon tents, high peak tents, arch tents, curve tent, cube tent, two floors tents, dome tent, mix-structure tents, etc.). To meet your any requests, hope we can cooperate together in the future. Q1:Can you print our logos on tent? 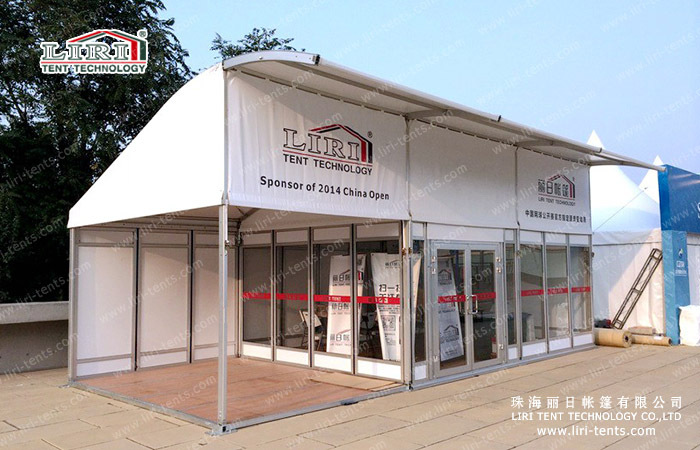 Yes,customized logos can be print on the tent fabric according to your requirements. Yes,we assure you all prices are based on factory. Q3:Does your tent be able to install repeatedly? A full range documents,including structural drawings,packing list,installation manual and relative certificates can be provided.Moreover,customs declaration is provided.This is an one-stop service for you. Q5:What size tent is necessary for your special event?